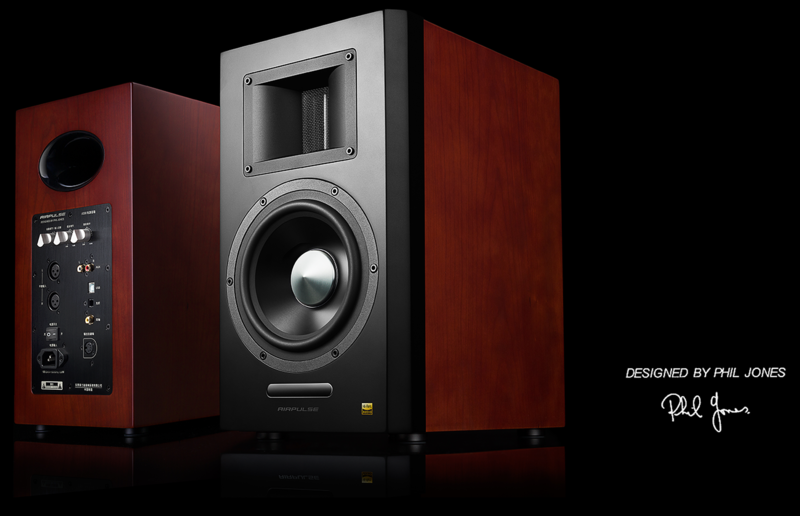 The A300 speakers combine the quality of a reference monitor and retro wood styling into an active bookshelf speaker. Simplicity married to quality is our motto with AirPulse. Connect the speakers to each other with the connecting cable and connect the speaker to your audio source directly with included cables. These speakers are sold in pairs out of the box and includes a remote. The A300 uses a thin aluminum horn loaded ribbon tweeter which extends frequency range and a well-defined resolution reaching to 40KHz high frequencies. 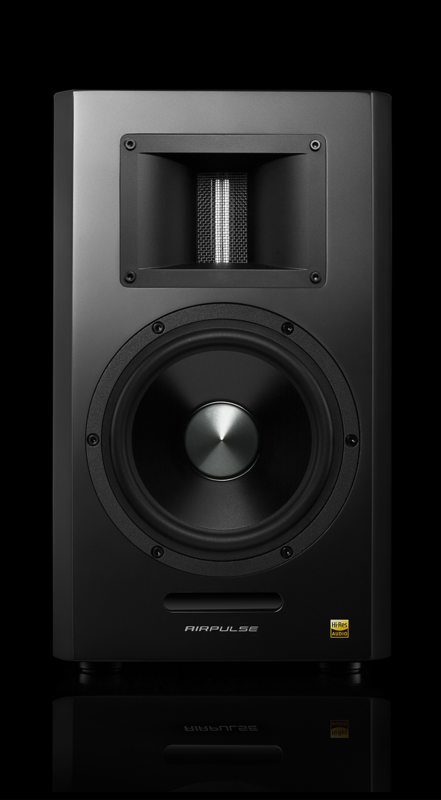 The horn shape adds to a three-dimensional sound as the ribbon tweeter is aimed at the listener and minimizes unwanted effects from room reflection. 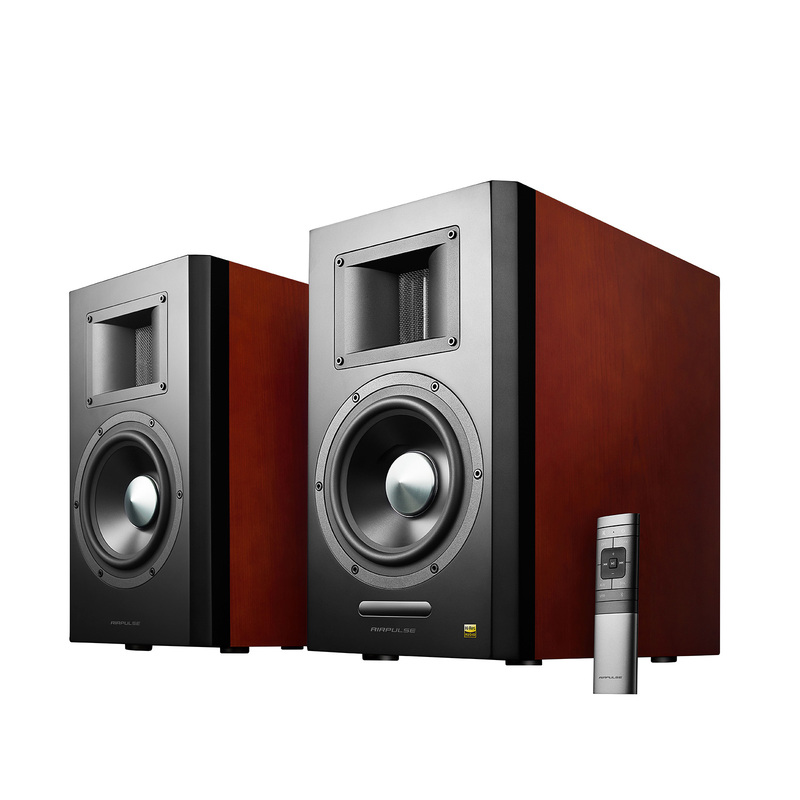 The A300 active bookshelf speaker is equipped with a 6.5-inch aluminum alloy cone mid-range woofer unit. Each magnet has a 50mm diameter edge-wound copper clad aluminum ribbon voice coil for maximum linear excursion and control. 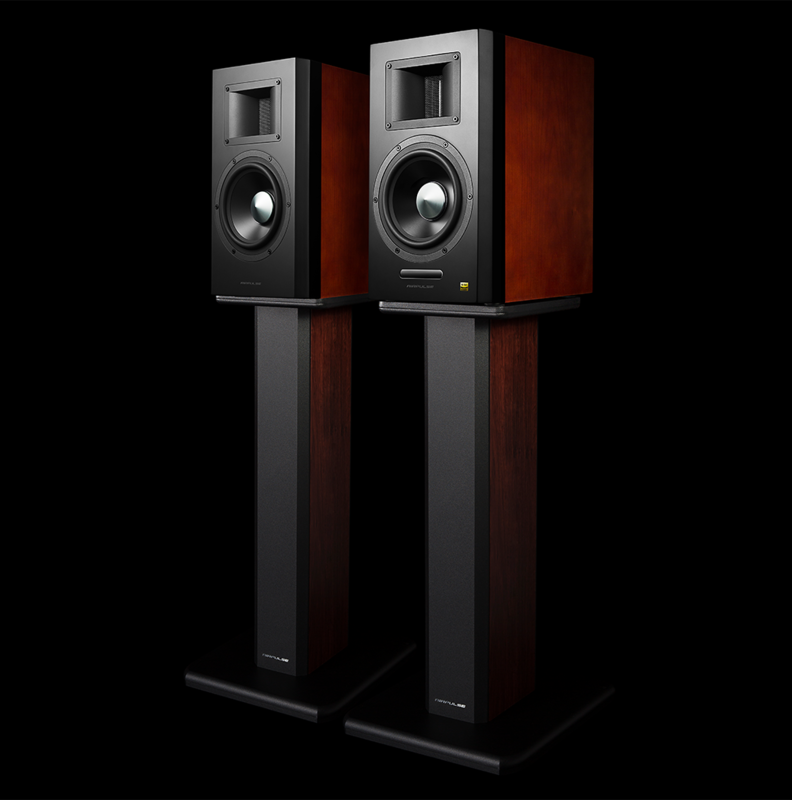 Elevate your experience with the ST300 speaker stands from AirPulse. Made exclusively with the A300 active bookshelf speakers in mind. AirPulse’s A300 is designed by Phil Jones. 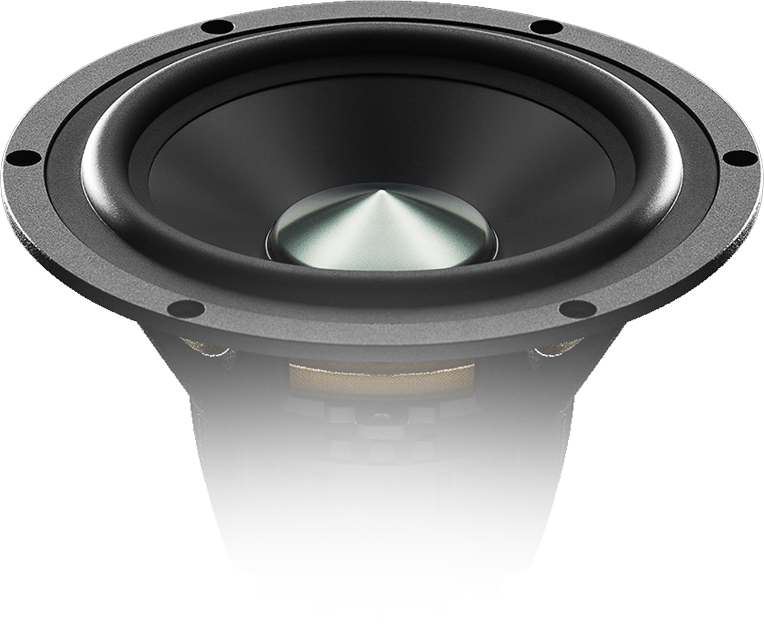 The technical and aesthetic designs are combined to create a next generation of audio. The cabinets are made from 25mm MDF and finished with a cherry wood veneer finished in satin lacquer. 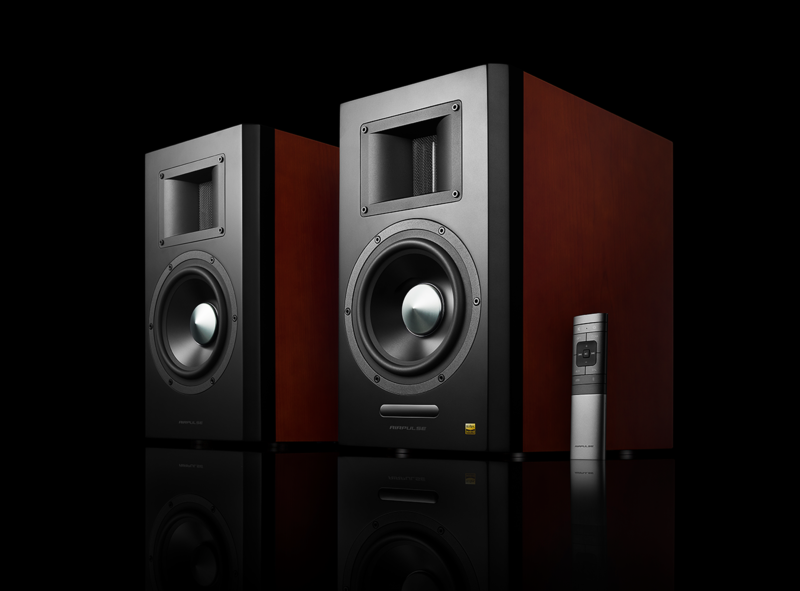 The cabinet is lined with a 36mm professional-grade sound absorption material reducing unwanted resonance. The built-in amplifier uses 3 parts of the TAS5754 Class-D amplifier chipset from Texas Instrument. Two chips are bridged in parallel driving the left and right woofers. Meanwhile, the third chip is set in bridge mode for both tweeters. The SPDIF receiver uses a PCM 9211 from Texas Instrument that supports up to 216KHz input with a low output audio signal delivered to the XMOS processor with zero loss. The USB audio interface supports UAC2 audio with input sample rate of 192KHz avoiding signal degradation and dynamic range loss via the PC audio DAC. Included with the pair of speakers is a wireless remote that allows you to switch between inputs adjust volume and mute your speakers from a distance. Connect your phone, laptop, computer and other devices with the following inputs. AUX, RCA, optical, coaxial, USB, professional balanced input, and Bluetooth. The Bluetooth input uses version 4.1 and has support for aptX codec. Bass, treble and volume controls are located on the back panel. 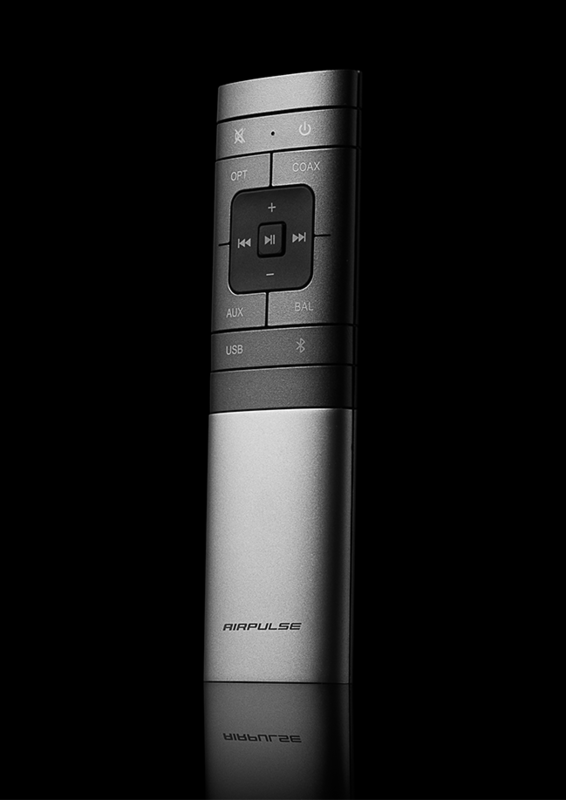 Input Mode:AUX, Balance Input, USB, Optical, Coaxial, Bluetooth.